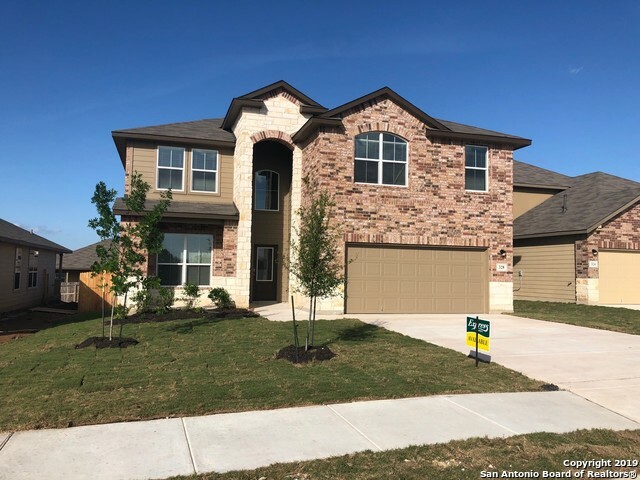 All SARATOGA - GUADALUPE COUN homes currently listed for sale in Cibolo as of 04/25/2019 are shown below. You can change the search criteria at any time by pressing the 'Change Search' button below. 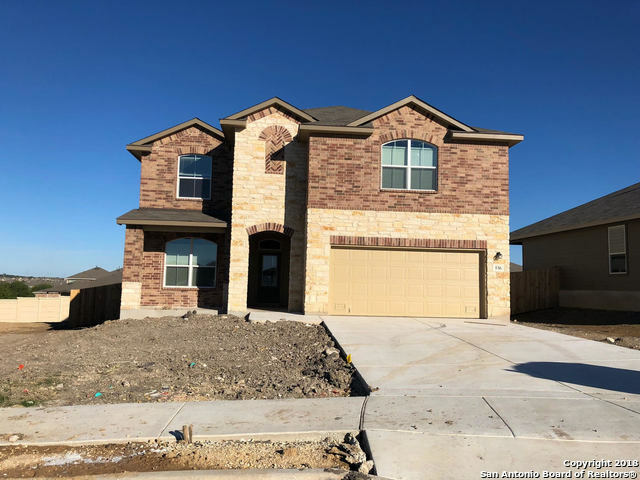 "This two-story, 4 bedroom, 2.5 bath home features 3303 square feet of living space. The first floor offers a welcoming entry that opens to a private study, separate dining area, powder bath and beautiful stairway. The entry hallway leads to a spacious open-concept living and kitchen area with a charming breakfast nook. Off the breakfast nook is a large covered patio, perfect outdoor dining! 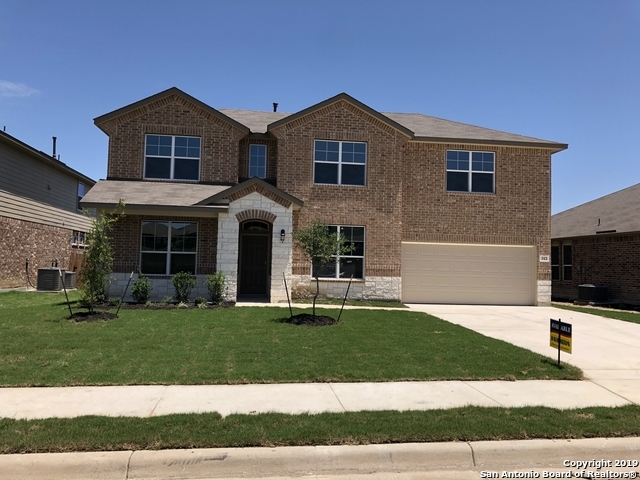 The master suite is also located off the breakfast area and highlights a spacious master bath and dual wal"
"Single story, 5 bedroom, 2.5 bath features 2770 sq ft. Layout offers an entry way leading to a powder bath, utility room and hallway connecting a full bath and three secondary bedrooms with walk-in closets. The entry opens to a dining area and spacious open-concept eat-in kitchen. A secondary room with walk-in closet is located just off the kitchen. The kitchen flows into a large living room covered patio. 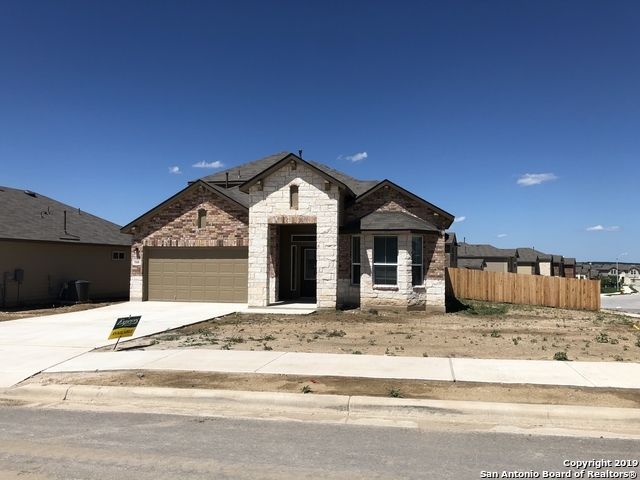 The master suite is located off the living area and offers a master bath and walk-in close"
"This 1.5 story, 4 bedroom, 3 bath home features 2890 sq ft of living space. This layout offers an entry way that opens to an utility room and two bedrooms, one with full bath. Beyond the entry there is a separate, open-concept dining area adjacent to a large eat-in kitchen and breakfast nook. The eat-in kitchen flows to an inviting living room. Off the living room is the master suite with a nice master bath and large master closet. 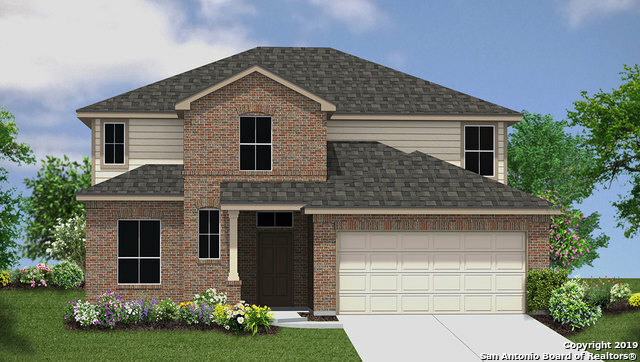 The second floor highlights a spacious game room, full bath and "
"2 story, 4 bed, 2.5 bath home features 2900 sqft! 1st floor offers an inviting, open-to-above entry way that leads to a separate dining room & powder bath. Entry hall opens to a spacious eat-in kitchen w/ breakfast nook & large living area. 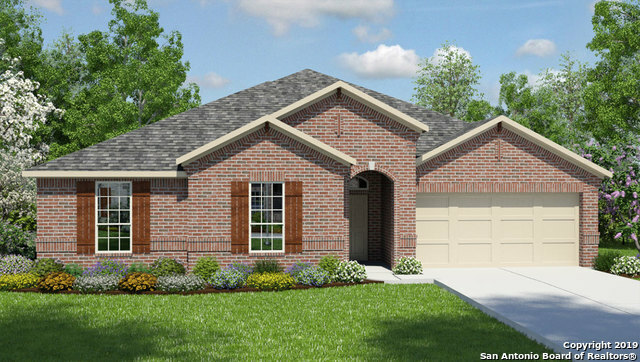 Master suite is located off the living area & boasts a nice master bath & large walk-in closet. 2nd floor highlights a spacious loft game room area. 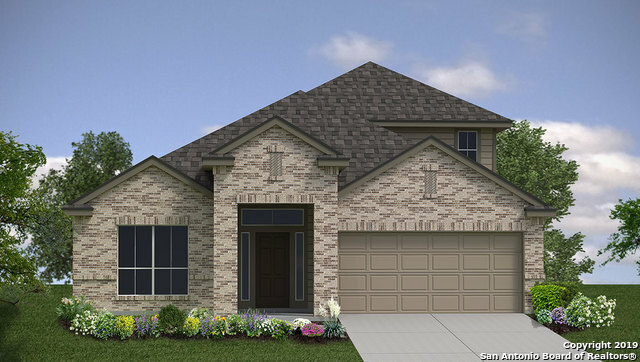 Off the game room area is a full bath and three secondary bedrooms, two with walk-in closets." 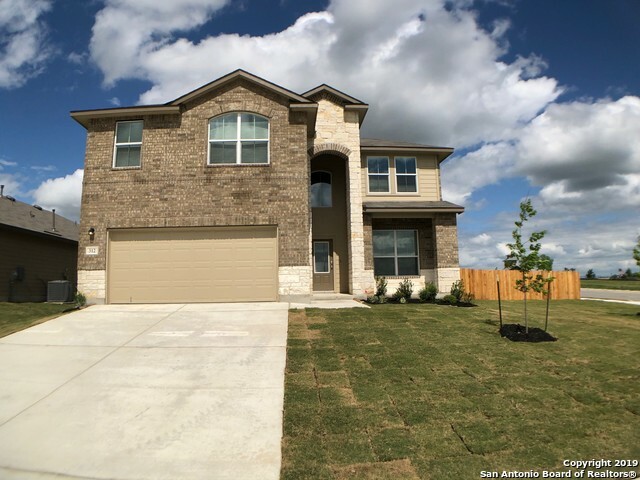 "2 story, 4 bed, 3 bath home features 2702 sqft! 1st floor offers separate office area & spacious living room off the entry way. A private hallway from the living room leads to a full bath and two secondary bedrooms w/ walk-in closets. The living room flows into an open dining area & eat-in kitchen. 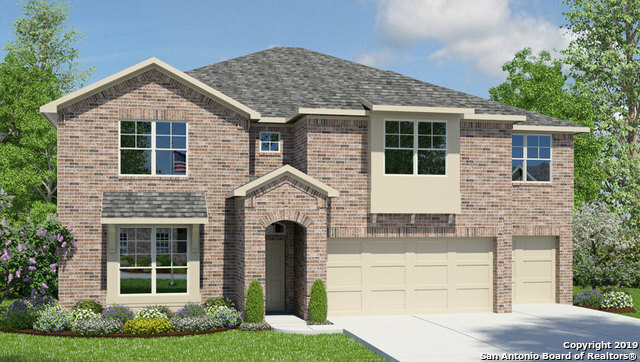 Master suite is located off the kitchen & features a nice master bath and large walk-in closet. 2nd floor highlights an open loft area, full bath with walk-in closet and one secondary bedroom." 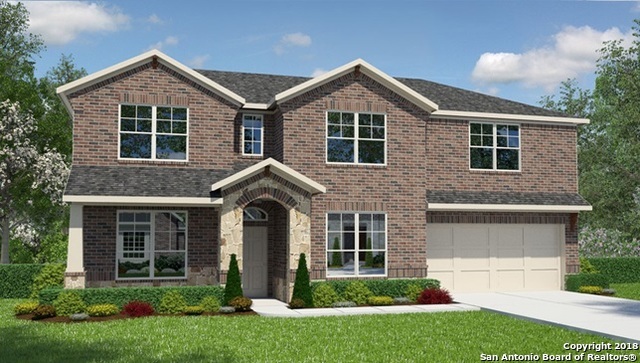 "2 story, 5 bed, 3.5 bath home features 2710 sqft! 1st floor offers an inviting entry way leading to a separate dining room, large open-concept eat-in kitchen & breakfast nook. Kitchen & breakfast area flow into a spacious living area! A hallway off the living area leads to a powder bath, utility room & 2 car garage. 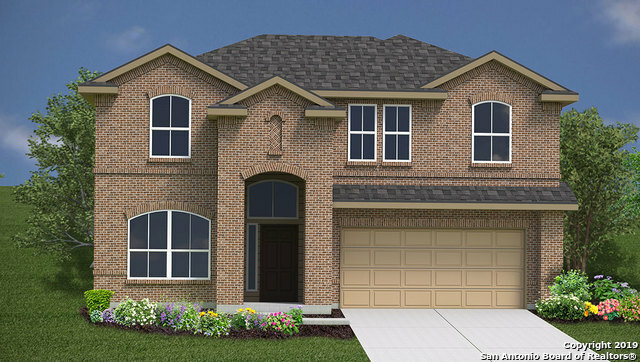 Master suite is located off the living area & features a nice master bath w/ dual walk-in closets. 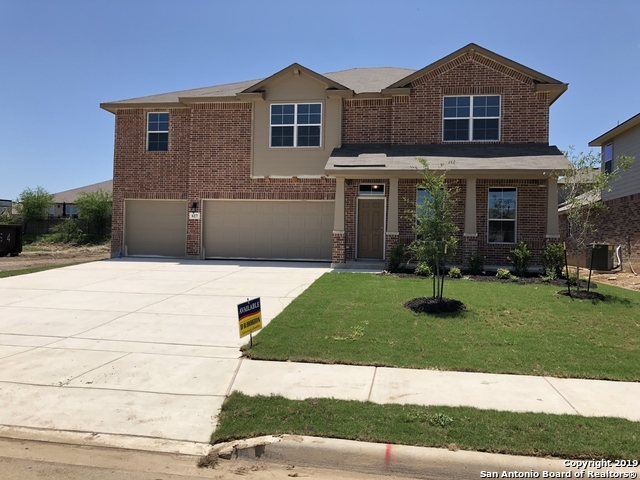 The second floor highlights an open loft space, two full baths and four secondary b"
"A must see! Over sized corner lot with updates galore. Amazing open floor plan. Close to Randolph AFB and San Antonio. 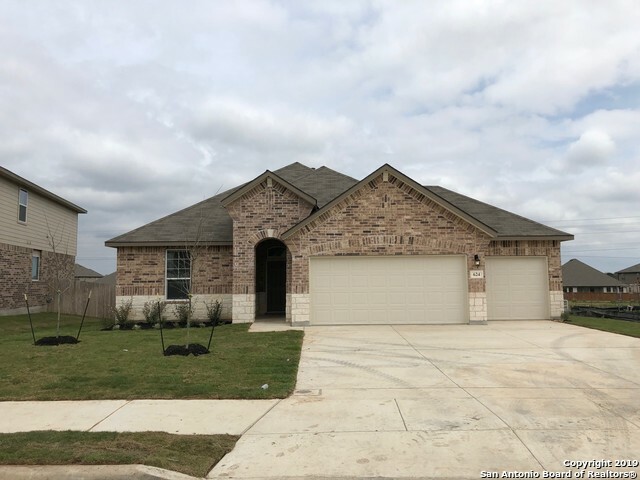 This home is located is the sought after SCUC school district. 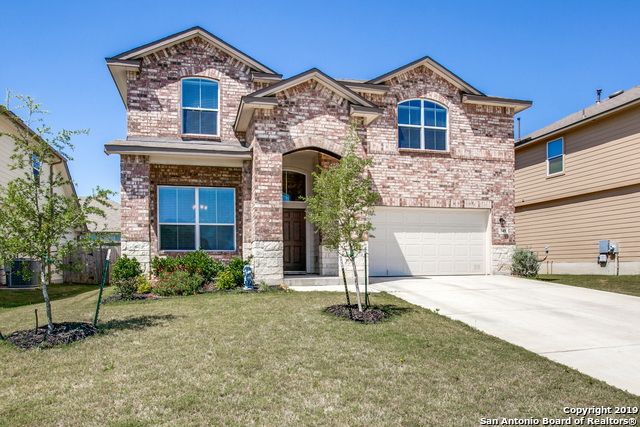 One of the largest lots of the neighborhood, added covered patio and beautiful landscaping in the backyard. Community has an amazing pool and park area and walking trails." "Beautiful gently lived in home in Saratoga. This home has more than a new home. 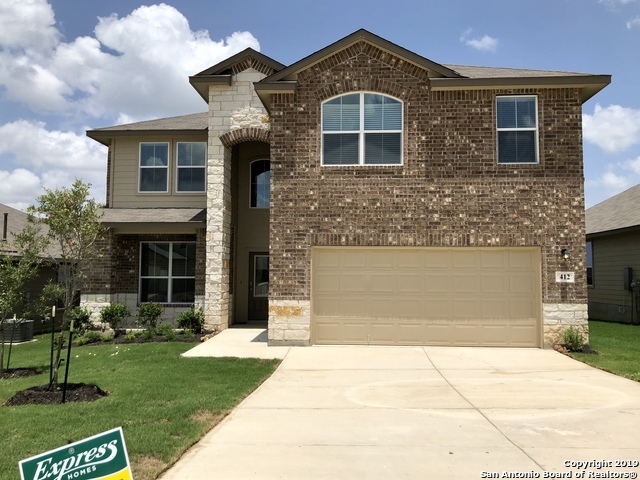 The owner has installed a Nest thermostat, Liftmaster garage door opener with MyQ Technology (can open w/phones via wifi), Security System, ceiling fans w/remotes in all upstairs bedrooms. Dining room can be used as a Study or separate sitting area. Great location being close to a corner resulting in slower traffic. Purchase just in time to spend your Summer at the spectacular pool/playground area. 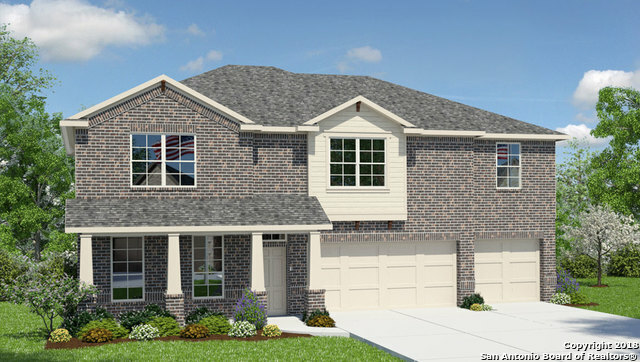 Close to Randolph "
"The Stonewall This two-story, 4 bedroom, 2.5 bath home features 2352 square feet of living space. The first floor offers a grand entry way with high ceilings leading to a separate dining room and hallway connecting a powder bath and utility room. The entry hallway also flows into a large eat-in kitchen and breakfast nook that extends to a covered patio. Off the breakfast area is a spacious living room, perfect for entertaining! 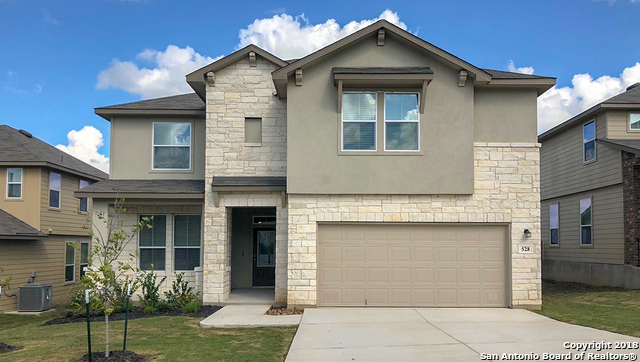 The master suite, located off the living room, offers a nice master "
"This 2 story, 5 bedroom, 2.5 bath home features 2555 sq ft. The first floor offers an open-to-above entry way that leads to a bath and spacious living area. Off the entry way is the master suite, master sitting area, bath and walk-in closet. The living area flows into an open-concept eat-in kitchen and separate dining area which extends to an outdoor patio. 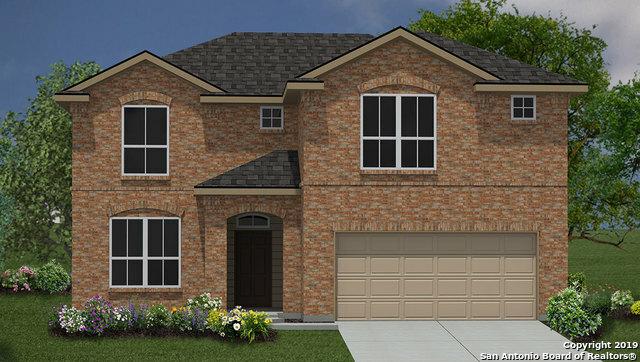 The second floor highlights a loft space, full bath and four secondary bedrooms." 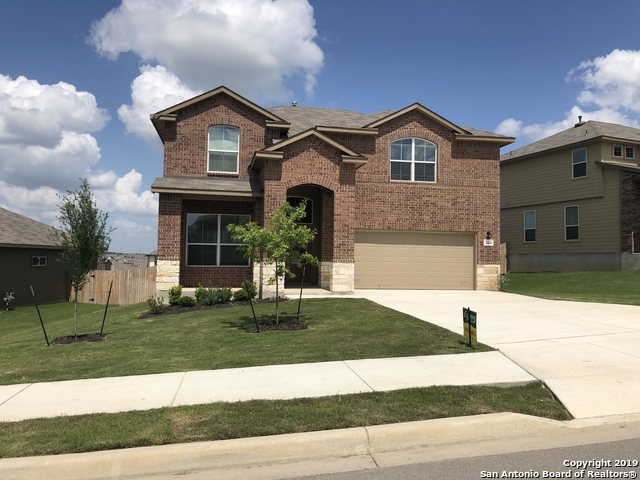 "COME CHECK OUT THIS GORGEOUS 5 BEDROOM 3.5 BATH HOME LOCATED IN SARATOGA COMMUNITY! NEWLY DEVELOPED AREA WITH GREAT NEIGHBORHOOD AMENITIES TO ENTERTAIN YOUR FAMILY AND FRIENDS."